Eight years. That’s how long I’ve been waiting for a new Romance of the Three Kingdoms installment in English. And yet, despite the fact ROTK12 did not receive a localised version, it still didn’t stop the super fan in me from getting it anyways. Still, there is something more fun about playing a game in a language you can understand and not having to rely on YouTube walkthroughs. Unfortunately, the eight-year wait was for naught as this is not the ROTK fans will remember. One of the unique aspects of the series is every new installment is different. I can go back and play 10 on the PS2 and it’ll be an entirely different game compared to 7, 11, etc. 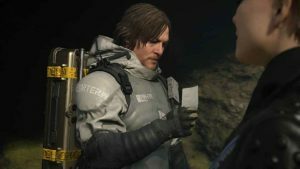 One risk is a winning formula can be ruined by deviating from the norm, but the reward is continual fresh experience in a series without people crying rehash. Right off the bat, one of the many flaws of the game is that it’s designed for the PC and not a PlayStation 4. While there is a rudimentary grid system to help select locations, it is not the default. Instead, everything is designed with a free flowing cursor. This is great with a mouse but slow and imprecise with a controller with so many selections on the screen. ROTK13 takes a lot of its cues from Nobunaga’s Ambition: Sphere of Influence like map design and real-time motif, but adds in unique qualities. When starting the game you have the choice of playing as an officer of any position, from free to ruler and any in-between. When I first started the game it gave me an ROTK10 vibe which had a similar setup. However, while you have the choice of playing as a free officer, it is completely pointless. A lot of the gameplay is sealed away until you are in a force. One cannot enjoy picking a free city, away from all the fighting, and working on its infrastructure solo, or building up and training a personal army. Your only option is talking to people. There are random villager requests that pop up but all they do is reward gold, and are still available when a part of a force. The game’s economy is slow and unbalanced. Each city has its own stats to determine output. A bigger commerce rating gets the city more gold, while a higher spear rating means better trained spearmen. However, the main flaw that results in such an unbalance is the lack of ability to perform tasks. Nothing can be done unless it is an order from the ruler, who gets two orders to hand out. Until they are fulfilled, nothing more can be done. Ministers can make suggestions and there is a random slot for a follower to suggest something but there are too many tasks needing to be completed compared to slots allocated. This becomes even more of a problem with the ranking system. Ministers, governors, viceroys, all the important positions that delegate tasks for you in your kingdom are locked until an officer gains enough deeds to reach the proper rank. Often, this leaves you with a lot of cities and officers doing nothing. The tech tree is also city specific. Normally, this wouldn’t be a problem and would be realistic. However, couple this with the lack of commands and a lot of cities become useless or develop unevenly. Each city has its own training stat, which at certain levels unlocks more powerful units. Expand far enough away and the city with all the powerful troops has to spend a year marching those elite horsemen to the front lines. The inability to transport troops between cities also makes out-of-the-way locales annoying to spend time capturing, and provide no military benefit once no longer on the frontlines. The Combat is one of the most egregious flaws in the game. The player is only allowed to participate in combat that the controlled character is currently involved in. Furthermore, the action is also executed in real time. If you’re a ruler, this creates a lot of headaches as the AI controls everything done in the game world while you’re stuck inside the combat layer. There is no opportunity to send troops to defend or attack other cities thus giving the AI an unfair advantage. This is not counting other tasks like hiring officers, making alliances with villages, or improving infrastructure that get locked out for the duration of combat. This full world, real-time concept also adds another unfair disadvantage in that it punishes defense-minded players or those trying to be tricky. The benefit of real-time combat is it allows for a flow that offers in-flux strategies. You can send a horse unit to harass the unguarded enemy base in the hopes it forces them to pull troops off your surrounded leader, then immediately send them to a new location seamlessly. But tactics like this, and others, take time, and without the ability to react to events outside of combat, every day literally matters as unknown armies could be marching on cities without repulse. Pleasingly, ROTK 13 runs seamlessly, with loading times virtually nonexistent. One improvement which I want to be kept in the sequel is the minister quick menu. For the average player, the AI does do a good enough job at prioritizing tasks. Just ask the ministers their proposals and in a couple seconds the proper officer is off doing a successful job. It helps alleviate the tedium of scrolling through tasks that have zero hope of being successful, like recruiting enemy generals. The AI minister knows instantly if such a task is possible. The addition of villages adds a complex economy layer to the game because their loyalties are always in flux. One moment you get that +500 farming bonus, and the next the nearby rival faction persuaded them to join their cause. There is also a tutorial mode available called Heroes mode. Essentially, it is a run through of the ROTK timeline to a certain point, using important events to teach the fundamentals of the game in a step-by-step process. For a tutorial it does an okay job. It explains how to run an economy, hire officers and create alliances, but combat is left muddled. It does not properly teach you the ins and outs of how combat works, like the importance of the various stats or officer abilities. There are also newbie traps that can catch you. 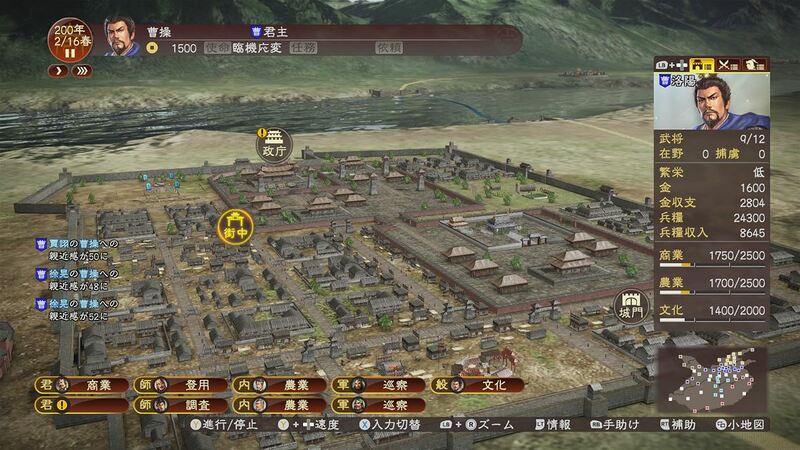 For example, when you do Lu Bu’s mission you’re tasked with defending a city at the same time Hu Lao Gate is attacked. The tutorials essentially tells you to use the auto-form until you get used to the combat. This traps you because to do so in this instance makes all units horse troops when you’re fighting a defensive city battle. Horses can’t shoot arrows from walls. If you know how to play then you won’t get trapped, but then it defeats the purpose of the mode trying to teach the game mechanics. Dueling and debates pop up a lot due to random encounters or persuading rulers. The dueling and debate systems have been simplified to only a few actions, with most emphasis on your relevant stat. Unless the officer has a high primary stat (War/Int) or secondary stat (dueling/orator) very close to matching the opponents, these are impossible to win. Tie breaks are given to the officer with the higher primary stat, and without high secondary stats you won’t start out with the ability to use the two special attacks. Previous games handled this fan favorite section in a more competent and thrilling fashion that could produce upsets and nail biters. Even if I was matched against an opponent of equal standing, the amount of damage being dealt is so great that moments never became tense or exciting due to it being only a five-round system. The one silver lining to the game is the enjoyability if you stay a non-governing officer. All the flaws disappear when you limit yourself to being a lackey. As you can only ever perform a single action at a time, being a normal officer means you can do as you please. Sometimes the ruler or governor will give you a direct order to follow, and if not then you can suggest one. In combat the problems of the AI having that unfair advantage are also dissipated as you work for the AI now, but passing up avenues of promotion only highlight again how broken the game is. 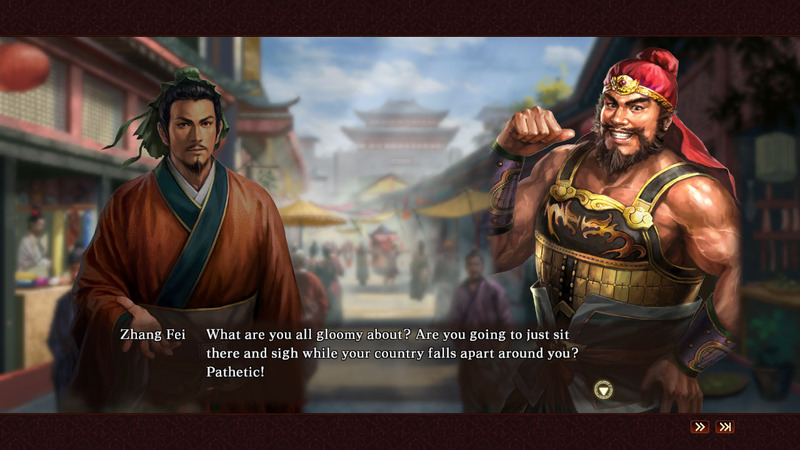 Romance of the Three Kingdoms 13 has the appeal of a high school sweetheart not seen in ages, but once you’ve turned down the lights it is nothing like you remembered. 7-11 in the series were all fine offerings, allowing for much inspiration to be drawn upon, all of which were ignored. If you like the recent Nobunaga’s Ambition title then you’ll enjoy ROTK13. If you’re hoping for a sequel in line with any previous offering, it’ll only end up in disappointment. A clone of Nobunaga’s Ambition: Sphere of Influence with controls optimized for the PC and not the PS4. ROTK13 lacks any of the basic macro and combat strategy fundamentals of previous titles, making this a sequel in name only. If you liked Sphere of Influence then you’ll enjoy this title too. But for those who waited for an ROTK game, keep waiting.